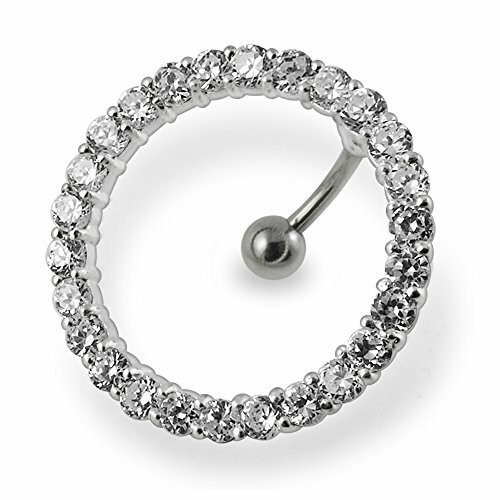 SURGICAL STEEL is the material of this belly pierce. 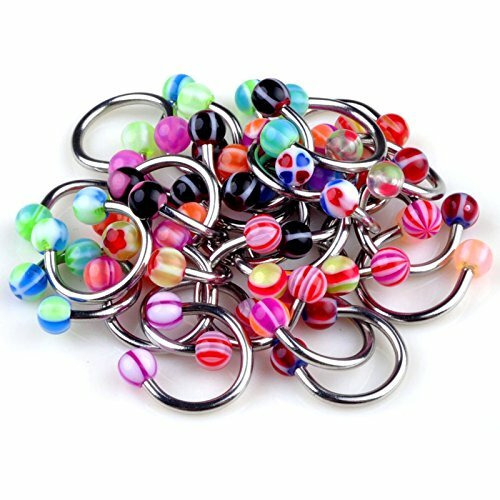 The implant grade 316L Surgical Steel is Bio-Compatible, CORROSION RESISTANCE, EASY TO CLEAN.LIGHTWEIGHT belly button piercing jewelry are comfortable, easy to insert and won't drag your piercing down.UNIFORM SIZING means these cool belly button rings can be worn in a variety of piercings; Auricle, Cartilage, Helix, Lip, Lobe, Medusa, Pinna, Rim, Snake Bites, Spider Bites, Monroe, Labret, Tragus and many more.CRYSTAL lip rings hoops twinkle and sparkle, adorning your piercing and capturing attention. 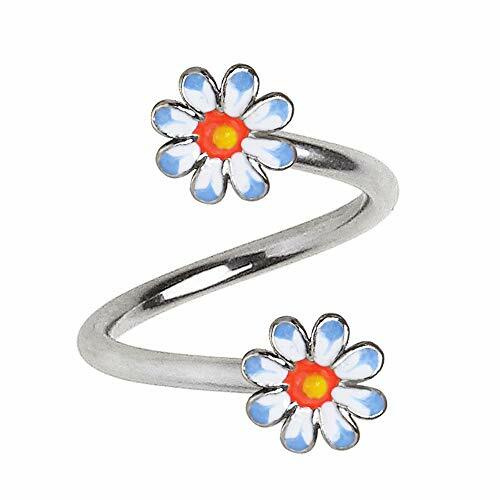 They look stunning for a special occasion and make a great gift too.YOU WILL GET Three pieces of 14g (1.6mm) 5/16" (8mm) 316L Surgical Steel snake bites rings, 4mm crystal ball end. 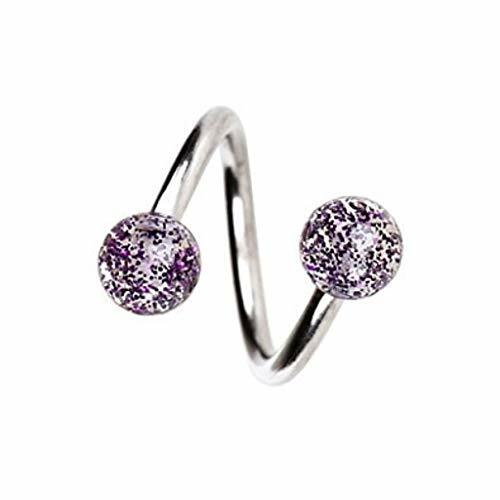 One piece of 14g (1.6mm) 5/16" (8mm) 316L Surgical Steel belly piercing rings, 4mm Clear crystal ball end. 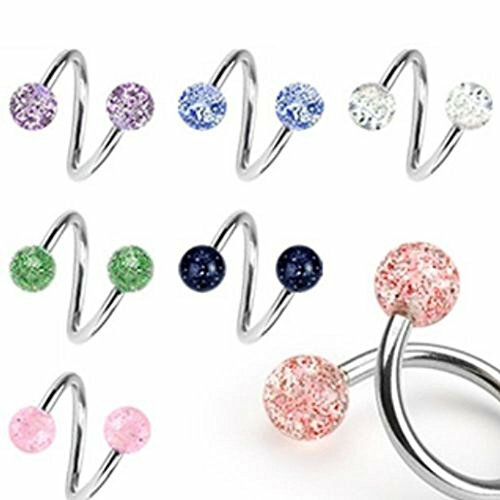 One piece of 14g (1.6mm) 5/16" (8mm) 316L Surgical Steel body jewelry belly rings, 4mm Aurora Borealis crystal ball end. 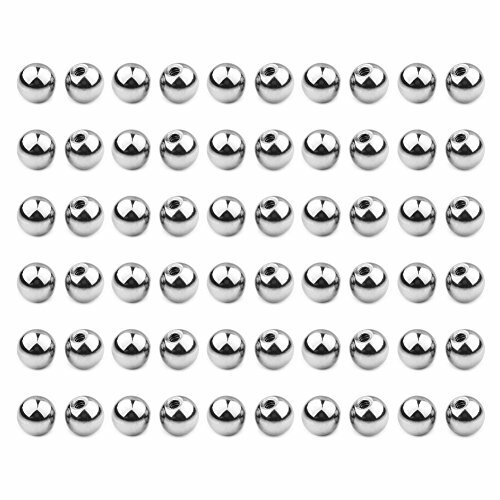 There are 6 color sets for your choice.